Setup your projector wherever you want. There’s no need to worry about drilling holes, running cables or taking a lot of time for complicated software installations. Just plug your projector into a power source. The wireless receiver is built in so you do not need to connect anything else. And, the wireless transmitter’s compact design makes it blend into any environment. 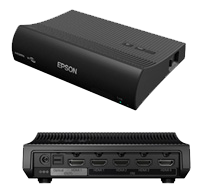 The EPSON transmitter streams a Full HD signal wirelessly, so you can keep things tidy and keep your A/V equipment separate from your projector. 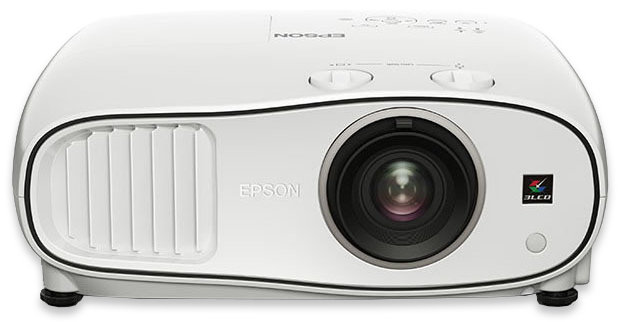 The EPSON Wireless HD™ streams reliable, HD 1080p, 60 Hz video from one device to another, within the same room, at a distance of up to 10m, with stellar full HD 1080p image quality. 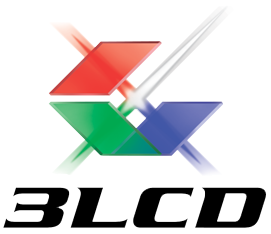 The system is HDCP compliant and can stream copy-protected content. Its fast signal transfer ensures real-time transmission of HD media without buffering or drop out. The wireless transmitter provides a secure connection that resists interference with nearby wireless routers. Connect your receiver, Blu-ray player, game console, streaming device like Apple TV, and more. You can even connect speakers via the optical connection. View a second device using the wireless picture-in-picture mode. Switch between up to 5 connected devices with the preview mode. 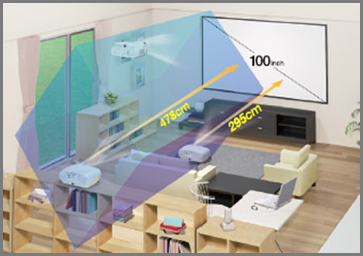 The wireless transmitter connects to up to 5 HDMI devices simultaneously, has one HDMI out connection, and one optical port.